Just days after Europe unveiled a "special purpose vehicle" meant to circumvent SWIFT and US monopoly on global dollar-denominated monetary transfers - and potentially jeopardizing the reserve status of the dollar - Iran said it was finalizing mechanisms for the oil trade to bypass US sanctions against the country, said Iranian Deputy Foreign Minister Abbas Araghchi. According to RT, Araghchi said that Tehran is not ruling out the possibility of setting up an alternative to the international payments provider SWIFT to circumvent sanctions imposed by Washington. "As we know, Europeans are also trying to see how SWIFT can continue working with Iran, or if a parallel [financial] messaging system is necessary… This is something that we are still working on," Araghchi said. According to the Iranian diplomat, the independent equivalent of the SWIFT system that was earlier suggested by the EU to protect European firms working in Iran from US sanctions will be available for third countries. “This is the important element in SPV (Special Purpose Vehicle) that it is not only for Europeans but other countries can also use this. We hope that before the re-imposition of the second part of the US sanctions [from November 4], these mechanisms can be in place and be functional,” said the official. One can see why: the Iranian economy has been hit hard in recent days, and the Rial has plunged to all time lows, amid fears that the sanctions will cripple Iran's most valuable export resulting in a shortage of hard currency, eventually leading to a replica of Venezuela's economic collapse. Separately, Iran's Foreign Ministry spokesman Bahram Qassemi said that "after much negotiation over a clear mechanism with Europe, we have neared certain understandings; and for sure, US sabotage in that regard will fail." On September 24, Iran and its five partners released a joint statement announcing the setting up of a "Special Purpose Vehicle" to facilitate continued trade with Iran, bypass the US's financial system, and avoid any impact of America's secondary sanctions. That statement did not provide details. 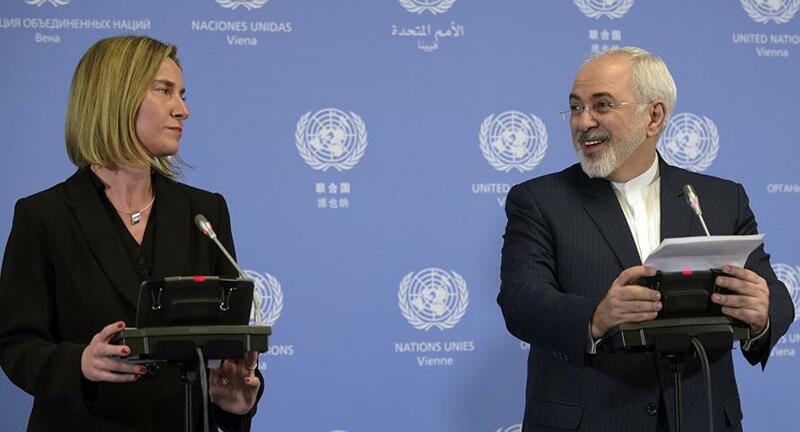 And EU foreign policy chief Federica Mogherini said technical talks would ensue. Qassemi said details would remain undisclosed to protect national interests and to preempt potential attempts to undermine Iran's work with its partners. But he did say "the mechanism for cooperation" was being finalized. Meanwhile, while throwing a wrench in the works, the Trump administration has been quietly testing out Iran with requests for new negotiations. Tehran has ruled out any talks with the Trump White House because of its unlawful exit from the nuclear deal — which was turned into effective international law via United Nations Resolution 2231 back in 2015 — and has said Washington must return to the deal before any talk of negotiations.